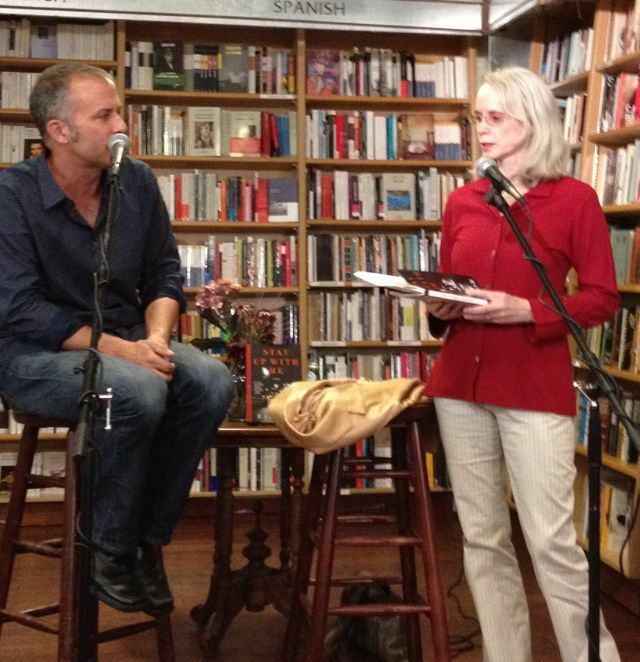 Tom Barbash was promoting his new collection of stories, Stay Up With Me at McNally Jackson Books alongside Mary Gaitskill, who was late. 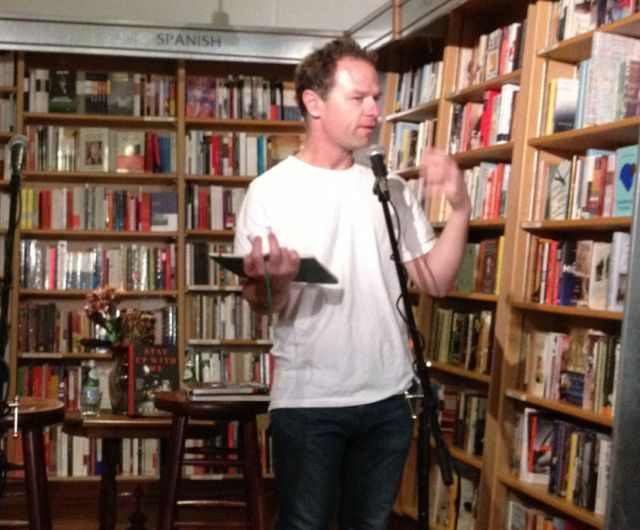 Stephen Elliott, author and founding editor of The Rumpus, briefly introduced Barbash in her place. Gaitskill would arrive later to join Barbash in a discussion and moderate questions from the audience. Barbash began by reading a playfully sexual narrative, the opening story of the collection. The audience laughs at points as he reads, and though the reading lasts longer than most, Barbash holds the audience’s attention. His humor keeps them listening and attentive. Gaitskill finds its strange that the reviewer faults these characters despite an otherwise positive review of the collection. Barbash though seems to have an understand: “I felt I got a positive review and my characters didn’t.” But Barbash insisted he doesn’t want to build bad characters and that the critic’s claim implies they are bad people even when they aren’t. 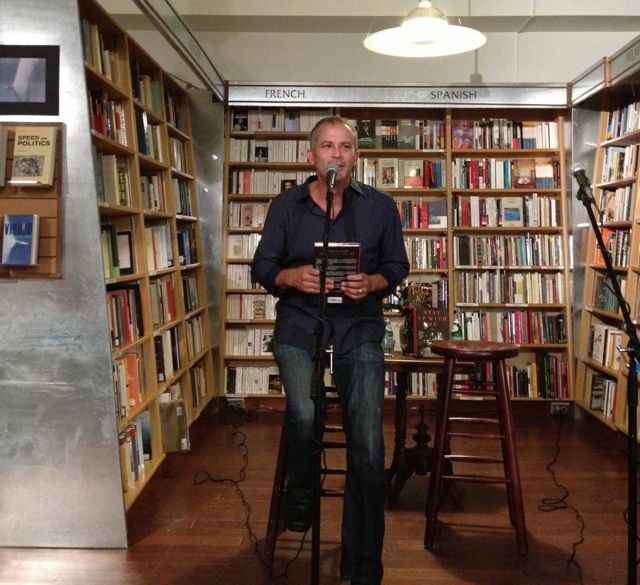 Gaitskill suggests that readers hold characters to a higher standard than they do real people. The audience is more harsh a critic for more minor crimes. “You throw a character’s life into disaster…then they have to go do things,” Barbash says. He draws a comparison to films–films about good things happening to good people are boring. In negativity there is energy and plot. Gaitskill points out the main difference between prose and film is in the access to interiority. Because prose helps readers enter into the characters’ minds, their darkness is exposed. However, in the movies, goodness comes to save the day, in part because the audience never encounters the characters’ faults. The characters in Barbash’s story collection end up experiencing many levels of discomfort. He wants to explore the moments of misconception. Ideas and actions that are appropriate in some situations are not always appropriate in others, and that conflict is something he wanted to explore. Barbash relates an anecdote of a time, years ago, that he had invited students to a cottage for a seminar. Suddenly he felt concerned about their encroachment on his space, on going through his medicine cabinet in the bathroom, or leafing through his mail. He described a kind of paranoia that inspired the sense of unease and out of placeness he wanted to capture. The conversation turns toward character likability. Gaitskill is known for her unlikeable characters. But that is also subjective, she insists. “I’m interested in people I wouldn’t naturally like,” she says. She relates to Jonathan Franzen’s Freedom, a book she didn’t expect to like. It had received positive reviews and she assumed it wouldn’t interest her. But then she met a friend who simply hated the characters. To her, that was a recommendation. Unlikeable characters were interesting characters, and after reading it, she admitted to enjoying the novel. Still, Gaitskill finds it challenging to ultimately dislike characters. “If you spend time with them, its difficult to keep disliking them because you share their point of view,” she says. Character interiority produces many more complex justifications and motivations, and can attenuate that dislike.